The final finish on a product should be beautiful and functional. However, when it’s something that needs to endure high levels of heat, we also want to make sure that it will continue to be beautiful and functional over time, whatever temperatures it has to withstand. 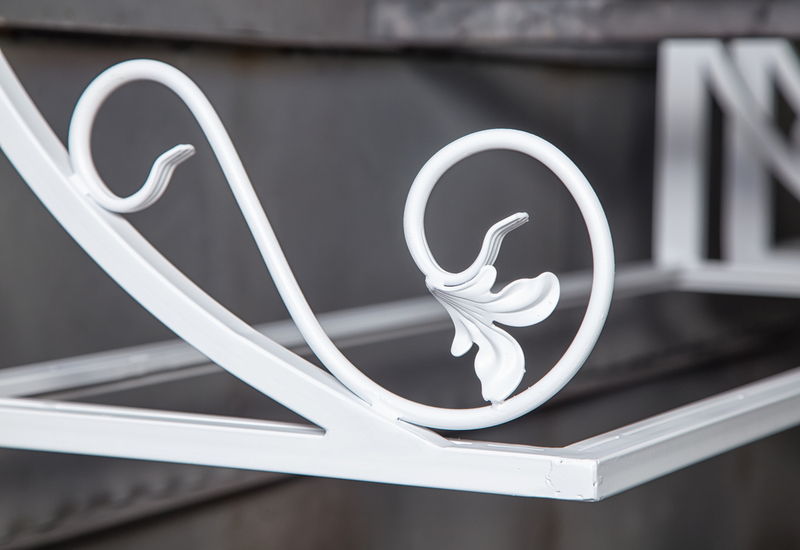 Powder coating is the best way to finish something that has to endure high levels of heat. And if you need proof, take a look at how experienced manufacturers and brands choose to finish these items that are built to last under huge levels of heat and temperature change. Most people believe that the biggest challenge of high heat and finishes is that the finish simply can’t withstand the heat. The truth is that, while that’s an important factor, it’s not all that hard to find a paint or material that can withstand a lot of heat without burning or melting. The real challenge comes when you consider the way that materials expand in the heat, and then contract again when the heat cools. If you have something that’s constantly getting bigger, and then smaller, you can be hard-pressed to coat it with something that will respond accordingly, and not chip away during this stress. That’s where powder coating comes in. It doesn’t work the same way as paint, with a rigid shell that binds to itself more than the item it’s coating. Powder coating is bonded to the material that it covers in powder form instead of liquid. The pigment materials are electrostatically charged while the part that they cover is grounded in order to create a free-flowing, smooth coat. Thermoses and canteens: Many high-quality brands are choosing powder coating for their metal thermoses. They know that these bottles are going to take a beating, and they’re anticipating people bringing them along when they go camping or climbing. Most of all, those canteens have to be able to deal with really cold liquids, and really hot liquids. Light fixtures: Take a look at the light fixtures in your home. Many of these are actually powder-coated in order to give them a smooth, beautiful, long-lasting finish that will be able to to withstand the intense heat that comes with extended lighting. Microwaves: Most microwaves are powder coated on the interior. No one wants to see chipped paint in the place where they prepare food, and the coating needs to withstand frequent heating and cooling. Railings: Do you have an iron banister somewhere in your yard or apartment complex? Those things are exposed to the weather day in and day out, and between the moisture, the sun, and cold winter nights, they need to be able to deal with weather extremes while still keeping their curb appeal. Many people opt for powder coating on these railings and fences in order to keep maintenance low.